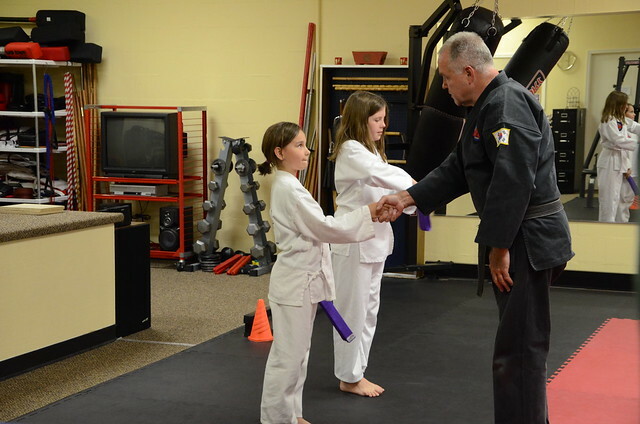 Harper tested for her purple belt on friday. 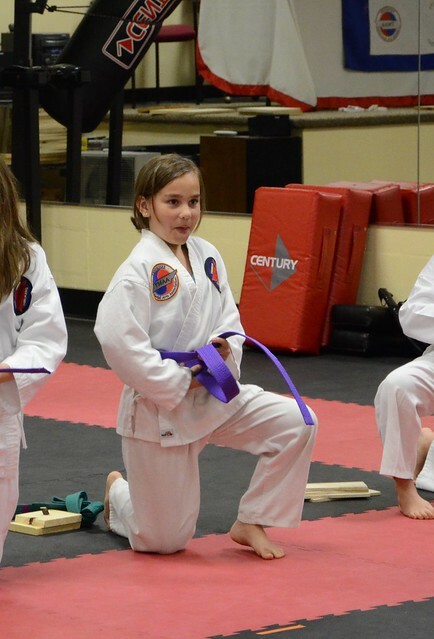 Eventhough this wasn't her best testing, she never got discouraged. 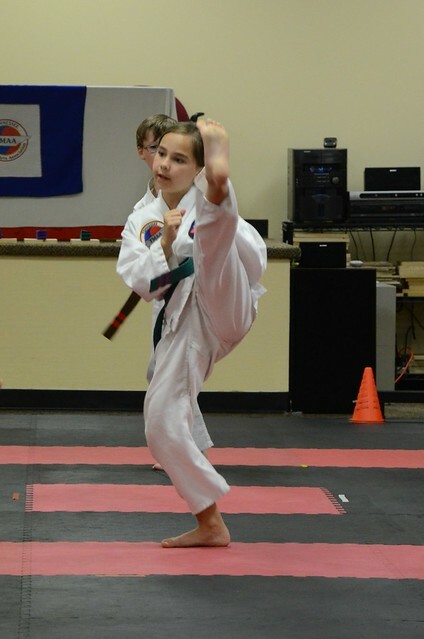 She broke a board with a step behind side kick, but I took video of it instead of photos. Congratulations, Harper! Wow, breaking a board is pretty impressive! Harper! You rock! That is awesome.